In the past 7 years, I have worked with Operation Smile and have been inspired by those who dedicate their own lives to making a difference for our next generations. Who would have guessed that I would still be connected with the small club I joined to fill my afternoons in high school. During a trip to China for Operation Smile's International Student Leadership Conference I met my inspiration to dedicate my distance treks to Operation Smile - Braam Malherbe. A man who had run the length of the Great Wall and the entire coastal boarder of South Africa, became a man to whom I could aspire to be so that I too could have a larger impact on the children of the world. In Australia, I set my sights on completing a 2 month journey to cover 2000 km to raise money for Operation Smile. This was my first true long distance trek but more importantly my first trip in which I dedicated my journey to something more than just my own enjoyment. Sponsored by 10 companies and raising enough money for 7 surgeries, for me wasn't enough. After completing my adventure through Australia, I realized I wanted a larger impact. I wanted to impact the world on a greater scale. By no means am I saying that 7 lives are not worth it but inside I knew I could touch more. I ask all those who believe in making the world a better place to partner with me. I offer an opportunity for all who partner with me to be a part of a journey larger then themselves. I hate to ask for donations but in the end the world sadly is driven by money. I am doing this trek for myself without any commission and all I ask is for others to help me make a difference. Donate to give a child the opportunity to reach their own dreams. A dollar or five dollars may not seem to make a difference but five dollars from many people quickly adds up to changing a life. Please donate what you can. I have still not explained why? I remember my own childhood and the made up adventures I had in my own imagination. I remember dreaming of becoming so many great things pilot, soldier, adventurer, international business man, and so much more. While I have achieved much in my life, I understand that these opportunities were given to me by the country and class I was born into. I feel that children in developing countries have enough obstacles in life, that such easy surgeries should not be what prevents them from chasing their own dreams. I have become the adventurer I always wanted to be and now I do it to give every child that same opportunity to seek their own adventure. 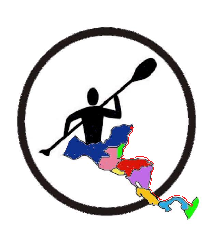 Join and partner with A Continental Kayak Voyage to make a difference in children's lives in countries less fortunate than our own. "To give every child the opportunity to adventure"
I hope you'll help me bring hope to even more children and their communities.